Finding a well-established realty agent in Mexico, and developing a good working relationship with that person, can become an integral part of your realty investment strategy and pay excellent long-term dividends. Almost every town and city in Mexico has a selection of Realty Professionals—from the small, local independent operator, to the national (and sometimes multi-national) franchise agencies. Real Estate Agents, through the agencies they work for or operate, offer a variety of support and knowledge services. You should find many of them to be very efficient and professional, although like all industries, this one has its rogues; risks can be mitigated with some research. When you’re looking for a property in Mexico, whether to buy or rent, finding and working with a good, well-established, local realty agent can prove to be a good investment in its own right. Local realty agents can give you insights into the location, its areas and neighborhoods, history and future local initiatives and projects that are coming down the line. The better ones will also give you forthright insights about the local culture and issues—past or present—that may exist in regard to purchasing property in any given area you’re considering. Realty agents are also well placed to share information about market prices and current market conditions. The last item is particularly relevant as real estate markets in Mexico are very localized and historical price data are hard to come by. Some Mexican agencies which began their businesses some years ago and have expanded are now regional, with branch offices based across a state or a particular geographical area. However the only “national” brands in Mexico are franchises. Franchise agencies in Mexico are run on the same basis as those the US and Canada. Most big-name realty agents are franchises: they are local companies run independently as small or medium sized businesses under the auspice of a large brand or trade mark. As the internet has been reorganizing the relationships between buyers and sellers in all kinds of markets, some realty agents who worked for franchise brands are now working independently, and some agents by-pass the franchise model altogether, offering a localized service under their own name or local brand. Agents do not charge buyers, but they do charge sellers a percentage of the selling price, or landlords a percentage of the rental. These fees and charges vary depending on the location and the price of the property being offered to the market. Outside of very popular areas, the realty market in Mexico is not as buoyant (turnover of properties is lower) nor as mature as in the US and Europe; therefore the lower turnover of properties mean than fees might to be slightly higher than the US and Canada. This guide will show you how to go about working with a realty agent in Mexico, whether you want to rent a home, buy a home, or sell your home in Mexico. This guide also provides tips and advice about finding a good realty agent to work with here. If you are looking for a property rental, local realty agents will have access to rental properties available by zone, property type, rental price and property size (usually quoted in square meters). Local realty agents often have a relationship with several local people who own houses and rent them out, either on a full-time or part-time basis. They also manage online databases of local rental properties, which enables them to search a range of options for your based on your lifestyle needs and budget and what’s presently available in the market. The agents may actively manage the property, or they may simply represent the owner to find tenants, thereafter leaving the day-to-day rental management to the owner or a different person representing the owner locally. If an agent doesn’t have something on the books you’re looking for, the good ones will advertise and/or use their extensive network of local contacts to find something that’s right for you. When you are looking for an agent to find a rental property in Mexico for you, use the same criteria as you would for buying and selling (see sections below). Key Tip: Remember, also, that if you are planning to buy a property in the longer term, the same agent can be an invaluable contact to help you accomplish a successful real estate purchase in Mexico. Read the accompanying guide here on Mexperience about Renting Property in Mexico for more detailed information about the processes and protocols of renting property here. Buying property in Mexico, like buying property in any country, is a major investment which requires patience, energy, planning and professional help. House purchases in Mexico inevitable carry a lot of legal process and paperwork to transact and your local realty agent will earn their commission by negotiating on your behalf, explaining key aspects of the process to you, interacting across series of complex liaisons, and undertaking the detailed project management needed to get your home purchase (or sale) completed in the quickest possible time scale. 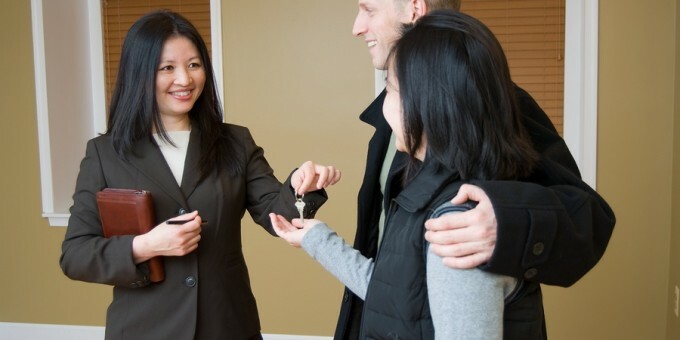 A good realty agent may become a long term support service for you; for example, if you decide to rent your house they may be able to find renters; if you have friends or family who move close to you, the person will be able to help them in their search; and when you come to sell your home, they will be able to advise you again. Many foreign residents who purchase property in Mexico view a good realty agent as long term professional relationship that can provide support and counsel on an on-going basis while they are invested in Mexico. When you search for a realty professional who can help you find your ideal home or investment property in Mexico, you need to find an agent who has an excellent understanding of the local area you are buying in. The agent should, ideally, have several years of experience in the business and live and working in the area they represent. They should have an in-depth understanding of the locality and its neighborhoods and ideally should also own a home in the area, too. The agent should take the time to understand your needs and aspirations and match your tastes and style to the properties they present you with. If, at any time, you feel that you are not being understood, you should say so and, if necessary, find some other person to help you. You should feel comfortable with the person who is helping you to find your home or investment property in Mexico. A close working relationship built on trust and mutual understanding is essential if you are going to find the property that is right for you. A good realty agent can be the key which helps you to unlock the ideal home and investment in Mexico. Finding the right agent can prove to be a long term connection that will help you to find more good properties (if that is your plan) and even to sell your property later on. It is the person, more so than the agency that person works for, that will make all of the difference. Every estate agency in Mexico has a mix of talent: individuals with different strengths and experience. Therefore, it is not so much the company (agency), but instead the individual from a given agency who you engage with. Sometimes you will have no choice about the agent you deal with, especially if you are interested in a specific property (or group of properties) which are tied to a specific agent (although most homes for sale in Mexico are not tied exclusively to one agent). Most of the time, you will have “access” to all of the available properties in any given area through any given agent, because they tend to know each other and they collaborate locally. Also, remember that the agent who represents the buyer and the agent who represents the seller are rarely the same person; this is why having an agent to interface with all the parties involved is so valuable. When you have no specific properties in mind, a good agent with an intimate knowledge of the local area and a highly professional approach to real estate will prove one of the most invaluable contacts you will ever make on your journey towards property ownership in Mexico, because most of the time, there will be an abundance of properties to choose from, and having someone who can steer you clear of certain properties which do not fit your plans, or in areas that would not suit you, can save you valuable time. If you already have a property in Mexico, then you may want to choose an agent (or agents) to market your property for you. Some sellers prefer to by-pass agents and deal direct; although this saves money it is also harder because many people (especially foreign buyers) end up using local realty agents to help them find the ideal property for their needs. Furthermore, if you don’t use an agent, you will need to undertake the complex legal and process work required yourself. Most sellers discover that the services of an experienced agent are very worthwhile. Most realty agents in Mexico charge fees of between 4% and 8% to sell your property. If you negotiate an “exclusive” deal with an agent, they might lower their commission rate, however, you will limit your exposure. This fee is subject to Mexico’s sales tax, known as IVA. So for example, if your rate is 6%, then your real commission rate including IVA (currently 16%) is close to 7%. Most agents charge similar fees of between four and eight per cent and also offer to market your property extensively through various real estate networks they are associated with. In the event that one of their contacts sells the property, you don’t pay any more commission as the total agreed beforehand is shared with their network contact. The body is organized into separate, autonomous, regional bodies (or chapters) and also has a National Counsel. Agents pay an annual membership fee plus local dues set by the regional chapter. Regulations and procedures vary by chapter, but the code of practice is always based upon the national code. Not every realty agent in Mexico is a member of AMPI, and it is not a federal legal requirement for agents to be a member or be licensed; however, the state of Sonora, bordering Arizona, is the first state in Mexico to require licensing for people selling real estate and other states may follow suit in the future. Your realty agent should be local to the area you’re searching in. Mexico’s real estate markets are regional and localized; an agent in Mexico City is of not use if you are seeking a property in San Miguel de Allende — unless they have a branch office there, or can refer you to an agent they know very well and trust, and that’s not very common. Don’t assume that big chains are better than small independent firms or freelance agents, or vice-versa. It’s the individual person, more than the firm they work with, that makes the difference between a good and an average agent. Observe how they behave after your initial contact with them: How promptly do they respond to your inquiries? To what extent did they answer your questions? What what your first impression of their agent or representative? Did they follow-up on promises to research properties? How many questions did they ask about you and your intentions, to get a better understanding of your needs and situation? Whether you seek an agent through a big-name brand firm or a local independent agency, you’ll do best when you find a person locally that is well known in the community, an agency staffed by people who have lived there a good while and know the area and its communities well; and people who can give you informed comment and meaningful insight about the location’s areas as well the lands and properties available for rent or purchase there. If you have a good working relationship with a realty agent in Mexico (perhaps the person you purchased or rented a property through), that person should be your first port of call. They will be able to give you the best advice and will probably offer you a really competitive commission rate. They need to be local to the area you are looking in. When you are seeking an agent to sell your property in Mexico ask them what services they offer in return for their fees—and also test their attentiveness. The least expensive may not be your best choice. Experienced realty agents in Mexico know that the buying and selling processes required to close a sales are very involved, they are time-consuming, they are rarely (if ever) routine, and they require a lot of energy and work to complete properly—and their time needs compensating through a reasonable fee. Look for realty agents who have good people networks locally. If you are buying, find out how they learn about properties that come on to the market. A good local realty agent will be expertly “integrated” into their local community: they will be known by other agents, they will be pro-active and collaborative. If you’re selling, make sure your property will be featured on their Internet site and it should be listed in any and all local “property listing” networks agents are part of. If you are buying ask about how they learn of new properties that come to market, how many owners they represent directly, and how many properties they represent through third parties or local networks they are affiliated with. When you’re a buyer, the very best agents will work in your interests, and will not try to push any kind of property onto you. You will be able to gauge this by observing what questions they ask, and how they respond to your answers and requests. If you are selling be proactive about asking how your property will be promoted. Check out their web site and look at what the site looks and feels like. How many visitors do they get? What is the profile of visitors and how does that profile match your property’s likely purchasers? What offline marketing will they be doing? What properties have their represented and sold recently? Ask the agent how they go about finding national and international buyers: Mexicans are increasingly becoming property owners and it’s not just foreigners who want to buy your property in Mexico. Exclusivity: If you are contracting an agent to sell your property, will your agency contract be exclusive or non-exclusive? Exclusive contracts will usually carry lower commission rates but may limit your exposure and are rarely a good idea unless the property is in some way exceptional. If you enter into an exclusive contract, be sure to set a reasonable time limit on the exclusivity. Time Limits: Regardless of whether the contract to sell your property is exclusive or non-exclusive, reasonable time limits should be set on sales contracts with realty agents. In very active markets, for example, big cities and affluent tourist towns, this time limit could be as short as three months. In smaller or more niche markets, for example smaller towns, islands, seasonal tourist spots the sales cycle can take considerably longer so you should expect to negotiate an exclusivity arrangement to allow for this, 12 months with an annual review. Prices: Be realistic with your pricing if you are selling (and with your budget if your are buying). Don’t just go for the agent who offers you the “highest valuation”, or befriend an agent because they “know desperate sellers”. Agents sometimes over-assess a property’s value to build a seller’s confidence and gain a representation contract. Some agents might try to gain your confidence by promising unrealistic returns. If a property won’t sell because of price, that same agent will be the first to advise you to lower the asking price; and when the “great deals” and “desperate sellers” show themselves to be something less, all you will have gained is a new need to find a more reliable agent.